The "Komsomolets" was a one-of-a-kind Mike-class Soviet submarine sailing for the Northern Fleet. The “Komsomolets” was likely the most unique submarine ever built for the Soviet navy. With a hull of titanium, the sub could dive to 1,000 meters (3,280 feet), several hundred meters deeper than operational depth for other attack submarines. For Kremlin, this particular submarine was a proud. Built in the 80s at a time when U.S. President Ronald Reagan was talking Star Wars and how to intercept incoming Soviet missiles with laser from space. At a time when the SOSUS system in the Norwegian Sea was successful in detecting and tracking noisy Soviet subs sailing out to the North Atlantic from its bases on the Kola Peninsula. With the K-278 - “Komosomolets” - Soviet submarine designers believed they had built a weapon diving deeper than SOSUS could detect, bringing a load of deadly plutonium warheads close to the east coast of the United States without possibly being stopped. A sister vessel of “Komosomolets” was already under construction at the yard in Severodvinsk. It could have been a game-changer in the Cold War, giving the Soviet Union an advantage in nuclear deterrence. It all ended in catastrophe on April 7th 1989. In the morning that day, sailing at a depth of 160 meters, the crew was looking forward to coming home, meeting their families at the base in Zapadnaya Litsa on the Barents Sea coast of the Kola Peninsula. “Komsomolets” had then been out for week on a voyage testing the submarine’s deep diving capabilities. Like today, such diving tests take place in the waters where the Barents Sea meets the Norwegian Sea, where the depths go from 200 meters to several thousand meters. The waters west from North Cape in the south to the Bear Island in the north. Such diving tests can’t be done in Russia’s part of the Barents Sea because it’s to shallow. At 11.03 a.m. the fire alarm onboard went off. The fire started in the seventh compartment in the rear of the submarine, behind the reactor-compartment. 11 minutes later the vessel surfaced. Attempts by the crew to extinguish the flames were futile. Causing several short circuits in the electrical system, the emergency systems to the single-nuclear reactor onboard were triggered, shutting down the reactor. The submarine lost power and started to run out of compressed air. By 17.00 buoyancy and stability were lost and the crew started to evacuate to life rafts of which there were too few. The life rafts that were lowered were too far away for the crew to reach. Only one raft was available, but was hardly floating. At 17.08 the submarine sank to the deep. The men in the water were hanging on to the raft. Not all managed the cold. One by one disappeared. At 18.29, the Soviet cargo ship “Aleksandr Khloystsov” came to rescue. 25 freezing cold survivors were lifted out of the water from on of the half-floating raft. 41 of the crew died. The Mike-class program was cancelled; submarine number two was never completed. 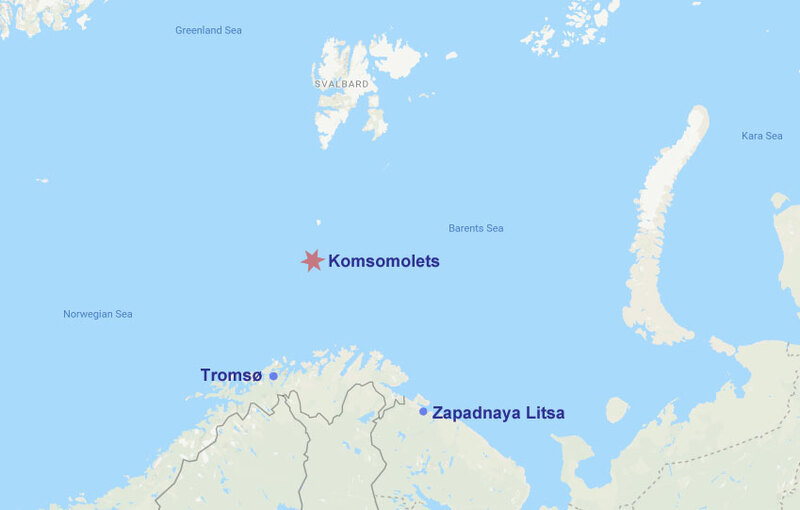 Today, the “Komsomolets” still rest on the seabed at a depth of 1,680 meters (5,512 feet) some 180 km south of the Bear Island. On board the wreck is one rector with uranium fuel and other radioactive isotopes like Cesium-137 and Strontium-90. More worrying, two of the torpedoes in the forward part of the wreck are tipped with a plutonium warhead. 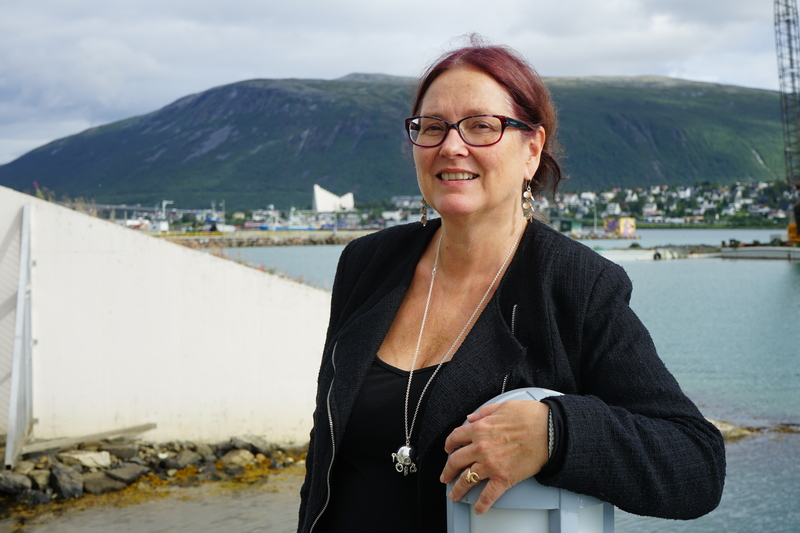 “This is the only nuclear submarine wreck in Norwegian waters and it is measured radioactive leakages from the wreck,” says Inger Margrethe Eikelmann, head of the Tromsø department of the Norwegian Radiation and Nuclear Safety Authority. In the early 1990s and in 2007, Russian scientists measured small radioactive leakages at “Komsomolets”, including the isotope Cesium-137 from a pipe near the reactor compartment. Later, Norwegian expeditions to the site has not measured any radioactivity, but unlike the Russian expeditions in the early 1990s which went down with a MIR mini-sub, the Norwegians have not been down deep with a submarine. This summer, a new expedition will try to find answers to worries about radiation leakages. In July, the research vessel “G.O. 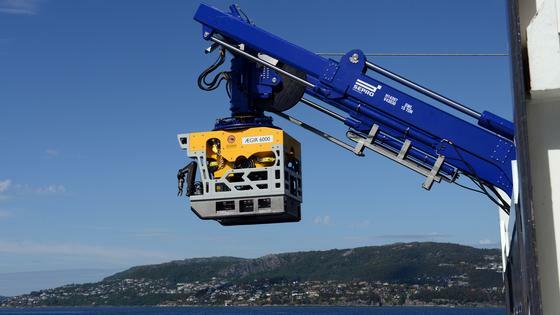 Sars” will sail north with the ROV “Ægir 6000”, a vessel equipped with both camera and steering arms to take samples. The voyage to the wreak-site this summer will additional to the Norwegian Radiation and Nuclear Safety Authority be joined by Russian scientists from the Research and Production Association Typhoon and the Kurchatov-institute as well as the University of Bergen. Plutonium-239, used in warheads, has a half-life of 24,000 years.